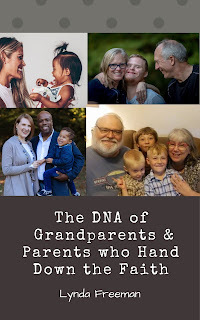 One of the things the grandmas who are part of my other blog, Grandmas with Heart, are committed to doing is to help provide resources which will encourage, equip and empower grandmas - and grandpas and parents, too - as they hand down the faith. Several of us have books we have written, or are working on which do exactly this. Cathy Jacobs recently released her book, PASS THE LEGACY: 7 Keys for Grandparents Making a Difference (You will find information on this book at the following link.) Linda Ransom-Jacobs has a new book which will be available this summer; The Single Parent Confident & Successful and Sherrie Schumann is working on a book which will equip you in the area of prayer - stay tuned for information on this wonderful resource! 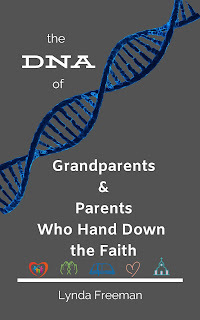 I, Lynda Freeman, have several books available for grandparents & parents, including It is Impossible to Spoil Grandchildren, Science the Bible & Fun and Deeper In for Grandparents & Parents, Too! Praying the Scriptures for the Children You Love. I'm almost finished with a new book and would sincerely appreciate some feedback from you. 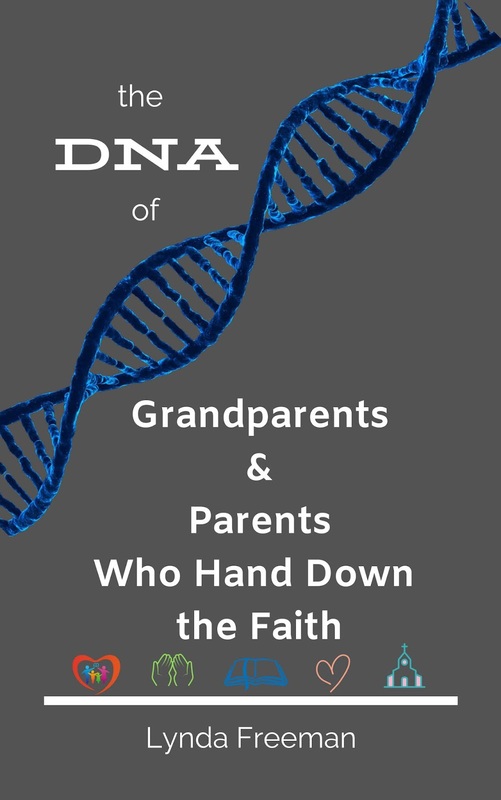 The DNA of Grandparents & Parents Who Hand Down the Faith will look at what it means and takes to hand down the faith. One of the things I want to do with this book is include true accounts of how real people have been able to see God work in their lives and the lives of their family and answer their prayers. If you are willing to share some of your "Faith & Prayer History", please email me at lyndagcj@gmail.com a few sentences or a paragraph or two and I'd love to include it in this book. I also am trying to decide on the cover - which cover do you like best . . . cover one with photos or cover two without photos? Please comment to share your opinion. Along with the daily posts on the blog - grandmaswithheart.blogspot.com, we are committed to providing resources to help you as you hand down the faith.